During the latest Valentine’s season there were a lot of proposals and love in the air. Now there will be a lot of upcoming weddings that we will need a card for whether it be for the wedding itself or a wedding shower. This cute card will fit the need for either occasion. 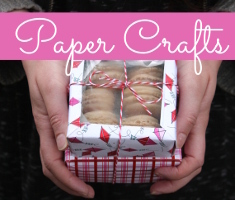 This tutorial is for a 5” x 7” card so all of the pieces have been cut to fit that size. 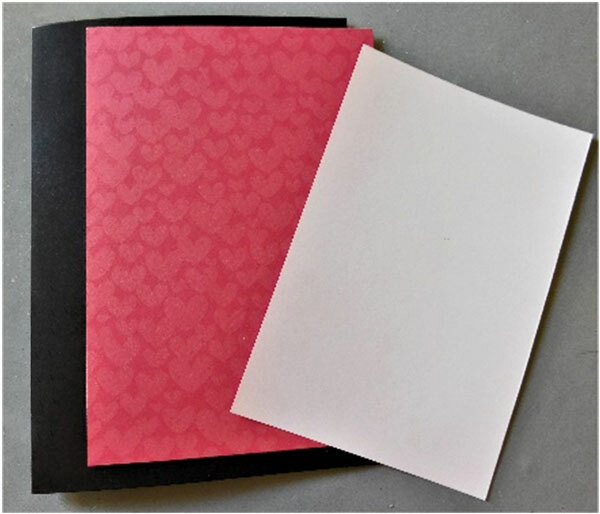 If you will be making a different sized card just adjust the sizes of each paper you cut to fit the card size you have chosen. First, cut a piece of cardstock that measures 4”x6” and use your blending tool to add some ink onto the paper. 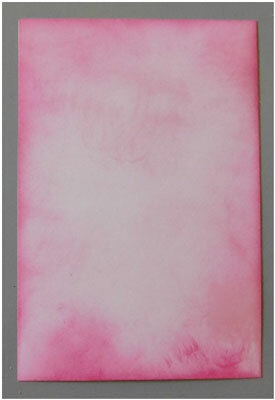 Start with a light color in the middle and then add a darker color of ink around the edges. Create the card base from cardstock and add a piece of your favorite patterned paper to it using a tape runner. Then, attach the piece you created above. 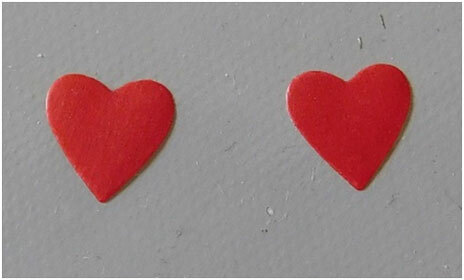 Die cut or punch one larger sized heart and two smaller hearts from either cardstock or vellum. 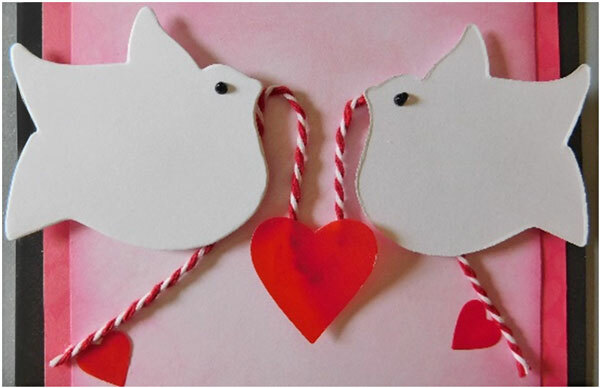 Also, create two doves using the Dove Die from Sizzix. 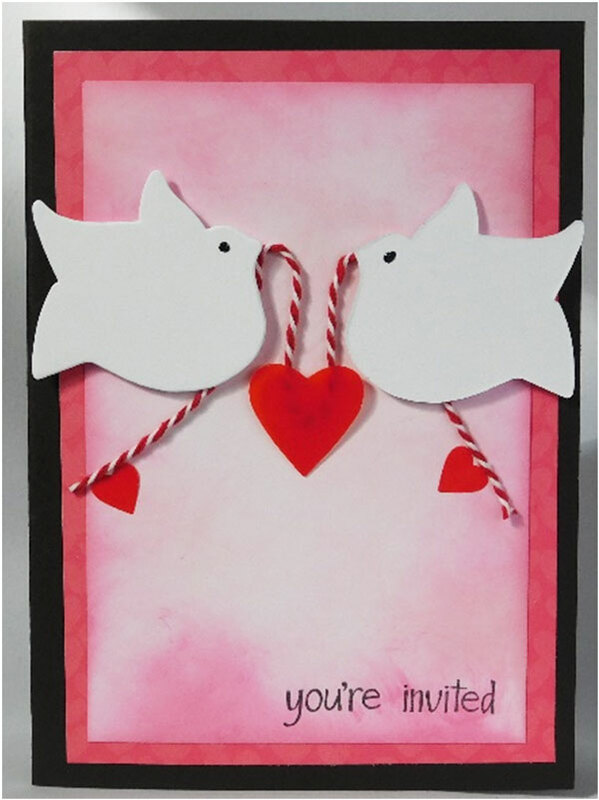 Add the doves to the card using a 3-d adhesive. You will have to turn one dove around to have it facing correctly. Between the doves glue a piece of twine dipping the middle downward and allowing the ends to flow outward. These areas are glued into place. 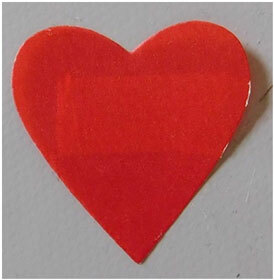 Use a vellum tape runner to attach the large heart to the center as shown or a regular tape runner if using cardstock. 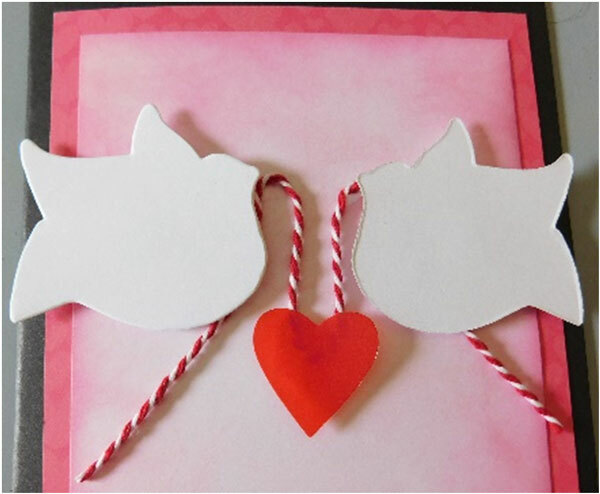 Also, attach the two smaller hearts near the ends again using the vellum tape. 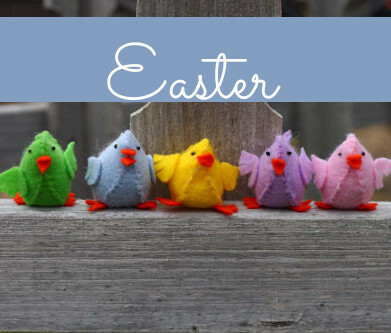 Add the eyes to the doves using a glitter glue. 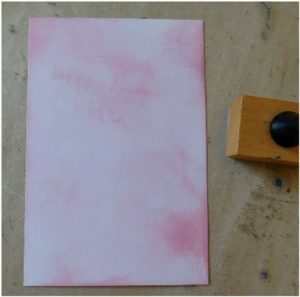 Stamp the sentiment into the corner and another one on the inside of the card to finish it. When you are in need of a card for the upcoming wedding and shower season pull out this tutorial and have a quick card in minutes. Use it to continue to spread the love of the year or just share it with someone you love. 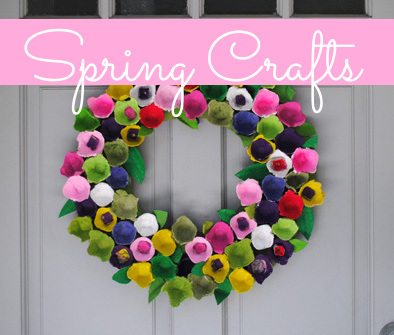 Are you doing a DIY wedding or shower theme? It’s perfect for that, too! 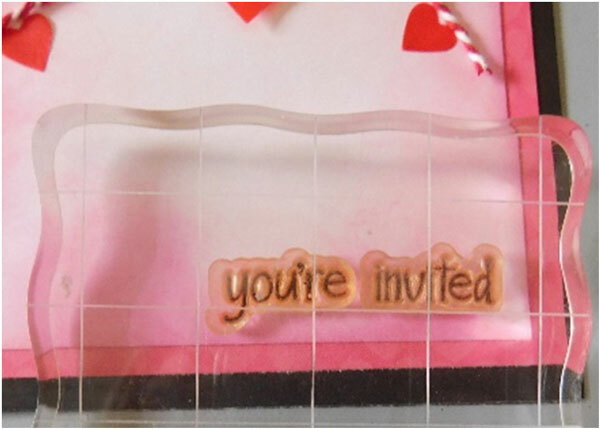 This entry was posted in Cardmaking, Paper Crafts and tagged Card Marking, Die Cutting, Invitations, Wedding Showers, Weddings on March 1, 2018 by Peg.